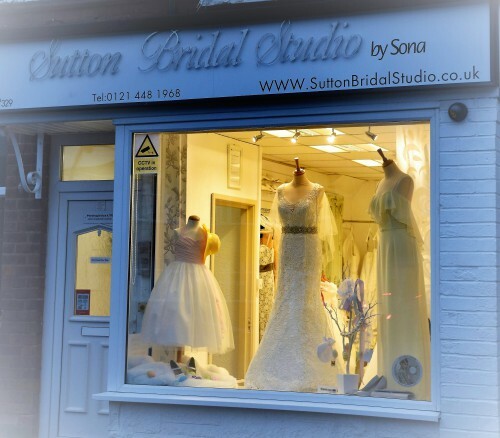 Sutton Bridal Studio is situated in Jockey Road very close to Boldmere high street and in easy reach of Sutton Coldfield town centre. There is free car park in front of shop dedicated to customers. We are 10 mins by car or taxi from Sutton Coldfield town centre and less than 5 minutes walk from Boldmere High street. 907 and 907A from Birmingham city centre,66A from Erdington, 872 from Plantsbrook School in Ebrook Road. Sutton Bridal Studio will respond to your message within 48 business hours. Please keep in mind, the boutique is closed Mondays & Sundays.